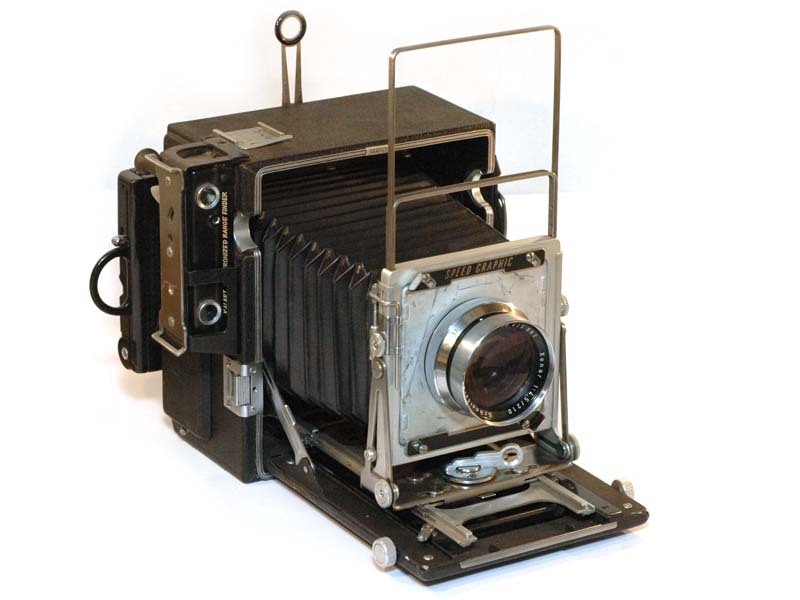 The Speed Graphic differs from the more common Crown Graphic in that it features a focal plane shutter. This not only permits higher shutter speeds (up to a nominal 1/1000) but also permits the use of barrel lenses. I had acquired this gorgeous, fast Schneider Xenar 210 mm f4.5 barrel mount lens, so this was the ideal camera to mount it on. Fortunately, the Kalart rangefinder is just barely able to be adjusted for a lens this long, so it is hand-holdable.